SOLD (Plantation Acres, Plantation FL) - Light and bright best describe this wonderful home in the heart of Plantation Acres. 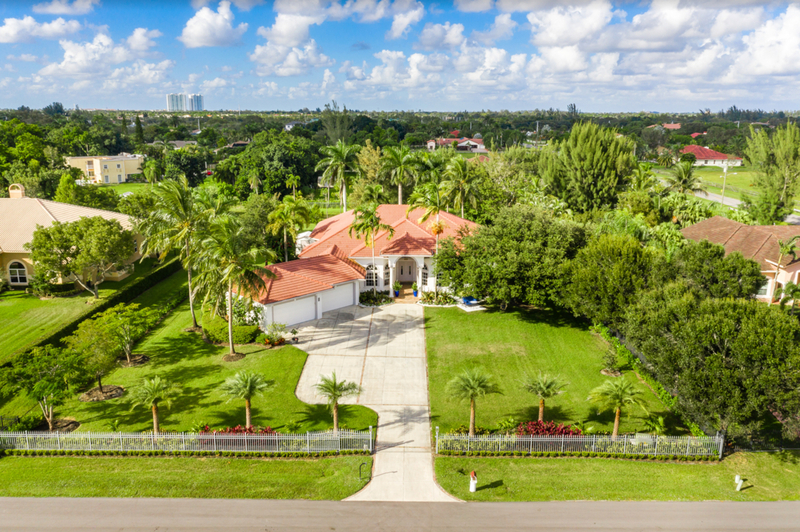 Minutes from American Heritage School, the gated 5BR/4.5BA home with 3.5 car garage (with room for all the toys) exudes pride of ownership. Fantastic floor plan features open kitchen with high-end appliances, impact glass and electric shades throughout. The split-plan offers privacy and a pool view from the Owner's Suite. Spacious secondary bedrooms are perfect for the growing family. Outside is equally as impressive: The backyard is fully fenced for privacy and delights with exterior lighting, well appointed lush colorful foliage, storage shed, amazing saltwater pool with JewelScapes glass gem bottom, IPE wood pergola, and room to run for the dogs. Truly a place to call home.